I’m proud to say that this coaching testimonial page is easily the longest on the whole website. Life coaching has consistently led to clear improvements in my clients’ lives. Please take the time to enjoy these testimonials. They demonstrate a wide variety of challenge and success that underlines how different each person’s needs are. I hope they also demonstrate how enjoyable and rewarding good coaching can be. Ready to take the next step? Ask for your free trial coaching session now. Or for an informal, pressure-free chat simply give me a call . Andy’s coaching has helped me in a way no testimonial can really ever cover – but I’ll do my best. I worked with Andy on a balance of work/life issues – from stress/anxiety through to delegation and personal performance. Andy’s different from other coaches – immediately you’re relaxed with his style, but, for me a hugely important one, you get real outcomes that you can implement in your day to day life. It’s not just talking through issues, but ideas and routines to put in place that help – that’s what makes Andy different. Thank you Andy, I came out of that session feeling like a huge weight had been lifted off my shoulder again! I feel like I am going to break a huge barrier, one that not only impacts on work life but my personal life too. I honestly can’t tell you how much I am getting from these sessions. I can see why you do what you do, you rock!! My first telephone coaching session with Andy was four weeks into my new role as a senior manager and following a big change in my personal life, already feeling overwhelmed by the situation so having a coaching session was just going to be another new experience I wasn’t prepared for. Within five minutes of talking to Andy I was put at ease, nerves diminished, and was speaking so openly like he was an old friend. I hadn’t realised how many fears and insecurities I had about the new role, Andy enabled me to see my fears and accept them as challenges to embrace. Andy has been the confidential ear in these early stages of my new role, he has helped me find answers to barriers I had built up. What amazed me throughout the whole coaching experience is the way Andy has shown me the answers are something I already had and has shown me how to find them. Not only has Andy helped me overcome a number of barriers I had put in front of myself for my professional life but his guidance has helped massively in my personal life also, I faced my fear of heights by doing an abseiling event. I am a different person to the one at my first coaching session and I can’t thank Andy enough. Ask for your free trial coaching session now. I started talking to Andy at a time when I’d already decided to make a big change in my life – give up all my work and go to live 250 miles away. But while I was clear that I wanted to leave I was much less clear about what things might really be like once I’d done it, and that’s when I got in touch with Andy. Fortunately he had lots of ideas for imagining what I wanted my new life to look like, as well as practical suggestions for getting my finances organised in the interim, and for creating better boundaries in my working life so that I was more in control. It made me feel a lot more positive about the future, and I found the support he gave me during this time of quite dramatic changes invaluable. I feel like for the first time in my life I am making decisions for ME. Through my sessions with Andy, I have been challenged to think about WHY I am making the decisions I’ve made. I thought I was being indecisive and procrastinating. But I now realise I simply did not have the framework in place to help guide my thinking. The work around values was really useful not just for these big decisions, but as a way of ‘sense checking’ in every day life! Would recommend to anyone looking for some guidance and clarification. I got so lost. My life and my job just weren’t making me happy. I was sad, stressed and exhausted but I thought I should be able to figure a way to make things better. I’m a project manager after all – why couldn’t I manage my own life? I tried different things, made endless lists, gave myself a good talking to but it just didn’t work. So I asked for help. And that help came from Andy. Through our sessions I have figured out what makes me tick, what my values are and how to make choices that are right for me. I feel as though I have the tools and skills to face whatever life throws at me (and there have been some pretty awful things thrown my way recently) and to come out of the other side still smiling. Looking back, I don’t know why I struggled on for so long trying to work this out on my own. After just a couple of sessions with Andy things became clearer and I value his support more than I can explain. Now that I feel I have found my way again I will check in with him now and then, just to make sure I don’t get lost again. If you need help – ask a professional. And if you want a professional who is insightful, supportive, non-judgemental and a joy to talk to then speak to Andy. Andy Leigh is a fantastic life coach. His gentle style and support have helped me tremendously. I would not have believed so much positive change was possible before I started my sessions. Andy has helped with everything from getting up early to finding a new job! I can’t recommend him highly enough. With a combination of insight, patience and humour, Andy guided me through the coaching process. With the work on values, he helped me lay a foundation for future choices and helped me balance the different aspects of my life. Along the way, there were also fun, practical suggestions which helped me move forward with some of my creative projects. A challenging and thoroughly rewarding process! Andy’s coaching has been a real help to me during a time of major transition in my life. He has helped me to redefine my priorities and to make massive strides towards a more fulfilling career and life. Andy was recommended to me by a close friend who he has also coached. I was going through a period of uncertainty, what I wanted out of my life. When my friend recommended coaching I was sceptical as I had never done anything like this and wasn’t sure it was for me – but speaking to Andy made a massive difference from the beginning and he has given me clarity and confidence for the future I would not have found otherwise. Without wanting to sound cheesy, speaking to Andy is the best thing I’ve done in my 26 years of confused existence. I can’t recommend him enough. Thank you for your coaching – it really helped John and I. We approached you at a time in our lives where things had changed quite dramatically and we were feeling a little lost regarding the future. I have to admit I was sceptical at first. It was my husband John who approached you for coaching for both of us. I went along with it because John felt it would be useful for him. After our first session I realised that this was going to be very useful in helping to identify what we wanted to do with our future. Our plan was quite unconventional and some friends and family felt it would be too risky but you helped us realise that if it was what we really wanted, we should go for it. Having made that decision, you also helped us formulate a step by step plan each week towards achieving our goal. We haven’t got there yet but we are in a place where we feel confident enough that the final plan we have will get us there. I was introduced to Andy after having a difficult couple of years at work and with my family. I wanted to find the answers and solutions to my problems and thought that a life coach was going to provide me with what I wanted. Andy taught me to look at my life in a way I could have never imagined and guided me to the solutions and helped me work out the answers. I have a new outlook on my life and achieved goals I thought were just a pipe dream. I continue to use the coaching I received from Andy and I can honestly say that he has given me a new life both at work and at home. I met with Andy from Pathways Life Coaching at a time in my life when I was hitting out at the people closest to me. Through the development and teaching of skills to realize and change my thought process I was able to handle the stress I was causing myself. I also realized that being placed in that position helped no-one, least of all myself. The time Andy spent with me helped me change my life, put things in order, and made me deal with being happy and always moving towards a positive place. If I am honest, it has changed my life. I am no longer the person I was, and everyone who is closest to me has seen, and experienced, the positive changes which I still use to this day. Andrew Colton, Managing Director. R.Wilson & Co Ltd.
Andy was able to provide sound and novel ideas,especially regarding the social media side of promoting my photography business.Implementing the techniques he suggested has bought an increased revenue and more public awareness of my business.Many thanks,Andy. Having been promoted into a much more demanding and highly pressured role I had struggled for some time to adapt to a much heavier and varied workload, and continuously challenging customer and employee situations. Over time this manifested itself with high levels of stress, a lack of self-confidence and a tendency to procrastinate difficult tasks. Working with Pathways Coaching I took on board and implemented practical methods for managing and prioritizing my workload, engaging much more effectively with my team, rebuilding confidence through focusing on my strengths and achievements, and effectively managing the impact of negative influences. The result is that I am now ‘in control’, with a proactive and strategic approach to my work which has improved my effectiveness and had a positive impact on my relationship with my colleagues. I am much more resilient to challenging situations, and have boosted my confidence levels to the extent that I do not suffer from the ‘self-analysis paralysis’ that had previously held me back. 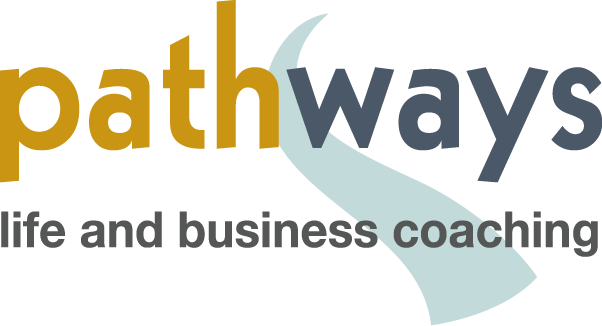 I’d wholeheartedly recommend Pathways for their tailored and practical advice and coaching which not only produced instant results, but has also provided me with numerous practical tools to continue to improve my performance and achieve my objectives in the future. Andy helped me very quickly to identify what was causing me discontent. It was simple really but I hadn’t been able to spot it myself. Within three sessions I was clearer and knew which steps I needed to take to move forward. I am very glad I telephoned Andy. The difference to my wellbeing is wonderful. Before starting my sessions with Andy, I had an unending list of things to do, all areas of my life were very disorganized and I was very unsatisfied with my lot. Following the sessions, I am now much more organized with a considerably shorter ‘list of things to do’. I am now taking steps to advance in my career and I have a much greater sense of direction. I feel that Andy’s coaching has been very instrumental in my achievements. Life coaching has been a very positive experience altogether. As a Captain in the Army it is important to be confident at work and when I was first Commissioned I was, but 8 years down the line with a few confidence shattering postings later it was the last way I felt. It became a struggle each day to go to work and put on my ‘Officer face’, it felt like a charade and I thought it was obvious to anyone who looked. I had talked myself into feeling insignificant and useless in my job and I was also unhappy. It is remarkable at the difference now. I feel thoroughly motivated; I now prepare for work events in the right way, I make time to improve my knowledge and myself at work and I have space for activities for me at home. The ‘values’ work has helped me realize who I am so that I know my own boundaries and when they have been overstepped, and Andy’s excellent advice and techniques have given me back ‘positive control’ over both my job and my life (control is something which is very important to me although I did not want to admit it). I have also done some work on confidence but it has pretty much come back on its own! I now feel valued, useful, motivated, confident and happy. Amazing how a few exercises, techniques and the simple truth reflected back in a calm and intelligent way have made such a polar difference. I heard about Andy via some colleagues who had found his coaching useful and commented on his gentle, supportive approach. I came for some guidance around work issues and being unsupported in an NHS job that I didn’t really have the knowledge and skills to do properly. This was impacting on my home life and I was intolerant and shouting at my children a lot! I think the whole experience of having someone in the background on the journey with me sometimes makes a journey feel less lonely and helps me move from a negative to a positive, problem solving type state of mind. As well as picking up various new tools and top life tips throughout the coaching sessions I have been looking at things from other perspectives through being questioned which has helped with relationships. On the practical side I have learned a new way of starting out on huge tasks which I was previously avoiding and procrastinating on. I did this by chunking the task down into bite-sized 10 or 20 minute manageable pieces. I have applied this several times now – it’s so easy that I think the ‘leaving the big, hard jobs till the last minute’ syndrome might be a trait of the past. I managed to arrange support in my job through being given the courage & support to present my difficulties in a clear, measured way and explain the consequences of lack of support to my manager. One of the other key changes I made was in trying to work out which of my interests in a busy life that I wanted to focus on and how on earth I could make the time to fit it in. The use of diaries and careful planning has meant that I am writing an article for a journal and doing a triathlon in 3 weeks time. And it doesn’t feel like too much. I contacted Andy after having counselling for a traumatic accident. Coaching with Andy has given me back my drive, brought my energy back and turned my life around. I’m now achieving more, I’m more positive, and I can face up to things better. Basically, I see things in a different light. I have found life coaching with Andy Leigh an enjoyable experience with lots of techniques suggested to implement. Andy has helped me to focus on the points in my life that I felt needed most attention and gave me the freedom to explore areas that were of most importance. Andy’s calm presence allowed me to open up, get to the root of certain issues and tackle them face on. Thanks Andy. Having been used to a high profile career, with a six figure salary and grand title, I felt completely lost when my business was bought and I had to start all over again. I spent six months trying to start a number of businesses with limited success and could feel my confidence and excitement for the new projects failing significantly. I always thought life coaches were a waste of time and only used by celebrities with major ego trips. However, a presentation at a conference in London made me want to give it a go. I spent four 1 hour sessions with Andy over the phone and he put a number of home truths in front of me in a meaningful and insightful way. I learnt more about myself and what motivates me in those 4 sessions than in the last four years of my initial business. I have a renewed energy and sense of purpose now. I’m happier and my family have noticed. I would recommend life coaching for people who feel stuck in that rut. I would recommend Andy if you want someone who wont preach or belittle your goals and aspirations and genuinely seems to care that you are making the right choices. I am feeling a completely different person… thank you once again for helping me make that transition. When I first spoke to Andy, I was in a terrible frame of mind. I was totally overwhelmed with life, work, my family, everything! Everything was an effort, and everything got in the way of everything else. I couldn’t see the woods for the trees. The slightest thing would send me into a spiral of negative thinking that would result in worry, sleepless nights and general feelings of despair. I do not really know how or why I got to where I was, but I got there anyway. Andy is easy to talk to, is an excellent listener and above all is non-judgemental. I felt comfortable talking and expressing my feelings to Andy in a way that I could not have done with my family or friends. In just four sessions, plus a free introductory talk, Andy made me see that the negative thinking into which I had almost trained myself could be reversed by applying simple but hugely effective techniques. After just four weeks I find myself looking at life with a different perspective. I would never say that I am cured, because I wasn’t ill in the first place. What Andy has done is shown me the way to a life of self improvement that I could not have found without him. He really has shown me the Pathways to a better life! Thank you Andy. I wish you all the best for the future. I thought now would be a good time to send you a note of thanks for all the help & advice you’ve given me … as today I hit my sales target at work for the first time in 5 months! The above is an excerpt from a longer, inspiring testimonial. Please click here for the full text. The results of my coaching sessions with Andy far outweighed my expectations. When I contacted Andy I was struggling to make the transition from full time work as a Personnel Director to 3 days – I’d made this move to try and improve my balance between work and family. Instead, I found I was working 5 days (plus!) while being paid for 3 – I felt overwhelmed, guilty, and my creativity levels were at zero. Andy’s skilful coaching has enabled me to reach my goal of doing a great 3 days of work. The bonus is that I also have strategies in place for taking my career forward – something I thought I’d have to forfeit in my previous state of mind! Articulating my life values was so illuminating – understanding why certain situations frustrated me was critical to moving forward. Challenging my own self limiting beliefs was another powerful exercise. Andy’s questions made me think deeply and from different perspectives. Coaching was an investment in me. It has been worth every penny! My successful business was almost running itself, while I had lost my motivation and enthusiasm. I now have renewed energy, an inspiring sense of life purpose, and I am progressing well towards motivating, multi-million pound business targets. Working with Andrew as my life coach has certainly exceeded my expectations. I approached Andrew with a business project that I was struggling with. For two years I had been trying to write a sales book but was being limited by lack of time, personal motivation and ideas. Andrew’s positive encouraging and result orientated coaching gave the guidance I needed to achieve success. Each coaching session is enjoyable and supportive yet focuses on setting clear workable targets. I have no doubt that without Andrew as my life coach my book would still be just a dream instead of in the hands of a publisher. I called Andy because I was feeling very out of place in my life. My confidence and self esteem were very low and I was very unhappy in my job. Andy gave me the skills I needed to boost my confidence and my self esteem. I have also set myself on the path to a new career and am feeling extremely positive about the future. Thank you for all your help, it has been fantastic! What can I say? I would never have believed it – what a difference. I now have direction, a positive attitude and confidence in myself and my abilities. I have realised what’s important to me, and I now know I can achieve and maintain my goals. I approached Andrew Leigh for assistance as I was having issues with self confidence, self esteem, assertiveness, and time management. After the first session I was already starting to feel the benefits. Andrew points you in the right direction whilst encouraging your mind to create your OWN way forward through constructive actions, thoughts and processes. The ability to create your own path that works for you is a very powerful approach that Andrew encourages, as the steps forward are created BY you, to work FOR you. After several sessions and having taken on board every direction to which Andrew led me, I saw a massive improvement in my behaviour; this was also acknowledged by people with whom I come into daily contact. I would recommend Andrew to anybody wanting to enhance / improve their life. After completing my coaching sessions with you I feel the old me has returned from the tunnel of darkness. I thought I hated my job, I was stressed, I felt my creative talents were going to waste and I felt my life was going nowhere. My debts were spiraling out of control and I pretended to be having a good time when I would go out with friends. Now I have realized I’m already in my dream job! My time at work now is thoroughly enjoyable, I’m smashing my targets, earning more, and having spoken out to my managers my creative talents are been used on a daily basis. My confidence has returned and I no longer dread the thought of going out to enjoy myself. I am once again the life and soul of the party! For any 30 something who feels she is in the throws of an early mid – life crisis I recommend calling Andy without delay. I have thoroughly enjoyed the coaching sessions that I have had with you. I’ve found them stimulating and thought provoking. It has helped me to confront my inner gremlin and to look it in the eye. I am glad to say that he is no longer in charge. I have taken over the reign from my gremlin and banished him for good! I now feel more confident and generally more positive about my life, work and future prospects and aspirations. The old is gone for good and this is the start of a new beginning in my life. When I started on this journey with you some weeks ago, I never thought that I would at this stage have taken such giant strides in my personal development. I am amazed at how far I have travelled in such a short time. I no longer have fear of people in authority, I accept compliments confidently, I now express my self better at meetings – in short, I feel like a new person. I can confidently say that the cost of the coaching is the best money that I have ever spent on myself, way above shopping therapy or beauty treatments. I’d like to use this opportunity to thank you again for our previous coaching sessions. You have really delivered what you said on the tin. Success, fulfilment and direction. The passages below are from two emails, reproduced with the kind permission of the client. I would certainly recommend you to anyone looking for coaching, if you can assist me with just one one-hour session then I dread to think how efficient and empowered I would be after a course of coaching! Your calm and logical approach, with gentle prods which manifested themselves into actual plans over the course of last week, has empowered me and given me a much better viewpoint on things. And talking of still being empowered, I have now enrolled on my part-time law degree with the absolute support and backing of my employers, have arranged an appointment in October with I-to-I concerning voluntary work in China, and have almost arranged all the workmen to start on the house in October – you really did, without sounding twee, make me see such a different perspective on things, and I look forward to speaking with you again when I return. Excerpt from the Coaching Chronicle, September 2002. Attendees at the Nottingham Coaching Exchange were left enthralled at the quality of coaching demonstrated in a number of ‘hot seat’ sessions by various members. For those unfamiliar with the concept, hot seat coaching is where a volunteer is coached on a topic of their choice by a coach in front of an audience. One particular hot seat demonstration by Andrew Leigh was so powerful that a visitor to the Exchange decided there and then to train with the UK College of Life Coaching . “If this is how skilled you can become … then I’m going to train with the College,” said Judith Munro. Written by Shaun O’Reilly, Director of Life Coaching, UK College of Life Coaching (2002). Please note that the UK College of Life Coaching, which grew into Coaching and Mentoring International, is now part of The Coaching Academy. I started life coaching when I felt I’d lost all sense of direction, was stuck in a rut and was changing my mind each week about what I wanted to do with my life. Andy has been fantastic in helping me work out what was really important in my life, my long term goals and how to achieve them. I now have a clear sense of what I want to do and don’t feel as though I’m wasting time with half thought out plans that don’t really fit in to my long term future. Four testimonials about creative achievement next. Coaching works wonderfully well on creative and artistic challenges. Andy’s coaching freed me up by helping me to finally understand what my painting and sculpture is all about. I can now talk about my art with confidence and have produced more in three months than in the previous three years! Working with Andrew has allowed me to pursue a long-cherished personal creative project. I have made fantastic progress in a short space of time. He combines logical and intuitive guidance that allows me to find the necessary inner resources and focus. At a time when I had a chronic illness, coaching helped me re-establish my creative focus. I moved from being blocked to producing a sustained series of paintings. I have now uncovered my own personal style and clarified the themes that really motivate me. Life, children and paying mortgages pushed this ambition aside in the past but never quashed it entirely. My perceived responsibility for others had, in the past, always taken precedence over being happy in a job but now I see that if I’m not happy it’s actually very unlikely that the rest of my family will be either! Talking to Andy has made be see that doing things just for me is not necessarily a bad thing (something all mums should take heed of!). Having been somewhat sceptical of all types of life coaching in the past, I now take back any negative things I have ever said or thought about it! Everyone should have an Andy to help them sort out their lives, he doesn’t tell you what to do rather he enables you to make any necessary changes by arming you with the tools to help yourself – confidence, self belief and the ability to continually reassess thoughts, dreams and ambitions. The past weeks have been invaluable for me and I wouldn’t hesitate to contact Andy again in the future should I need his gentle guidance. I’ll be going to Barcelona at the end of September, and doing 2 weeks of intensive Spanish followed by 4 weeks of TEFL and then a week’s ‘chill-out’. Can’t wait! I would never have realized I could go for this if it hadn’t been for your coaching. The turning point for me was when we focussed on my values; after that session, it became so obvious that I had everything the wrong way round, and that was why I was in such a mess. I had a real moment of absolute clarity thanks to your coaching! Thanks again, Andy. I was unsure of what to expect when I first contacted you, and a little apprehensive of being ‘ripped off’. I can honestly say it was worth every penny, and I have recommended you to several colleagues who are struggling with ‘stuff’. Andy has guided me to realize who I am and what motivates me. Although I am not an ambitious person I have usually done well in life, something I previously put down to being in the right place at the right time. Through Andy’s coaching I recognize that I have a goal orientated, conscientious and determined personality. Some of the things I set out wanting to change I have since realized are a part of who I am & after reflection decided that most are actually quite desirable qualities now I know how to channel them better. Some of the others I have started to change. I have personally found some of the smallest changes have made the biggest differences and coaching for me was a very pleasant and illuminating experience. I found Andy easy to work with and would recommend him to anyone considering coaching. This wonderfully readable, detailed testimonial, from a client in the Channel Islands, came with the offer to write a shorter one if it was too long. I decided to keep it exactly as it was. Read it and you’ll see why. Why did I embark on a programme of coaching? Most of all, I was curious. I am a professional business trainer, up to date with many new theories and trends in terms of both business and personal achievement. I am a very positive thinker and not without confidence. I am what some people would call “an achiever”. I did not fit my own perception of the type of person who would benefit from this process. I also thought – why not? I decided to tackle some issues that had been hanging around for a long time, some work focussed, some personal, some fundamental changes and others seemingly less so. Exciting things happened. The easiest way to describe the effects is to be specific about my objectives. Before coaching I had tried, and failed, on so many occasions to sort this room out. The task was too big, too unpleasant and consequently it became unimportant. But it was important, I hated going in to the room, I hated all it stood for – 3 years of neglect and a ton of rubbish. Through coaching, Andy helped me overcome procrastination by breaking the task down and by linking it to one of my other objectives (fitness) – it became fun. I stuck to my commitments (of only 15 minutes each day) and it wasn’t long before the room was empty. This spurred us on to complete other unfinished work on the house and we now have a wonderful, fully fitted out office – but not in the room we first intended – that is to become a spare bedroom (which solves another of our problems). My New Year’s resolution for probably the last 8 years, has been to write a novel. I know I have got one in me – but the powerful procrastination got in the way for all these years. Andy helped me discover the motivation to write my book and to fit it in to my very busy life. I now have a fire in my belly and an absolute desire to achieve this – already I have a basic plan, several interesting characters and some quirky plots. I am excited about this project but more excited about the fact that I am actually writing – already I am achieving! Imagine the horror – a wardrobe full of wonderful, expensive clothes – and I can fit into hardly any of them. Depressing. Looking in the mirror each morning – depressing. I knew I needed a lifestyle change – not just another fad diet and another exercise video, but this is another example of knowing what I needed to do, and doing it – two different matters entirely. Andy helped me here by getting right to my motivation to lose weight and get fit, dealing with some issues which I had shut away. Helped me develop ideas about the type of changes I wanted to make, and how to bring them into my day to day life – to change my lifestyle. Consequences – WOW. This has had such an impact – I can honestly say that I am a different person. I am not on a diet – but have changed my diet. I decided to start cycling to and from work each day – which would give me the additional exercise I needed. I also changed the way I exercised my dog. I have now cycled every day – through sunshine, rain, storms – I have battled against force 8 winds and gritted my teeth when the waves have crashed over me – and I have not given up. I cannot tell you how this has made me feel – energized, triumphant, perhaps even a little bit smug! In addition to increasing my fitness, and helping with my weight control, the bi-products have been equally life changing. Linked to my last objective of achieving balance, I now save around one and a half hours travelling time each day. I leave work earlier. I de-stress on my way home, I save around £120.00 per month. I LOVE IT! I was working too hard. I was spending on average 55 hours a week at work, and also bringing work home with me. I felt that my life was all work – no play. I had little time to put into my relationships – husband, family, friends. Totally out of balance. Andy helped me understand my values – and ensure that what I do in my life fits with what’s important to me in my life. This was an eye-opener and I realized that I was putting more effort into things that were not really so important to me. I am now able to say ‘no’ effectively, I leave work earlier, I don’t feel guilty – I feel empowered. Since I completed my first coaching programme I have now arranged to go part-time – without losing a penny in my salary! The other issue with balance was that me and my husband were not spending enough time together – especially in the summer. We generally go from April through to October without a single weekend on our own. Andy helped both of us devise a plan for visitors that would fit in with us – and our genuine love of having visitors, but would give us the much needed time in between to recoup and chill together. I thought it would be difficult to implement but in fact it wasn’t. Everyone understands, and those that don’t perhaps are not visiting for the right reasons anyway (we live on a beautiful island!). In summary, my experience with coaching surprised me – I am seriously amazed that I could feel any more positive, confident and empowered than I did before – but I do. This process was very helpful in looking at my values, goals, setting priorities and taking action. I really enjoyed my weekly telephone calls and I totally love the results. Andy was an excellent coach and used some interesting tools to provoke thinking – a couple of which I use on a daily basis to help make decisions. I will definitely do it again!